Lynda Cadarette began her dance studies at Debbie Sichol’s Dance Center in Southbridge, MA where solid technique and the love of performing were the focus of each class. She went on to study with David Howard, Gus Giordano, Luigi, Charles Kelley, Maurice Hines and Frank Hatchett, and was awarded scholarships to Joe Tremaine’s and Steps on Broadway where she studied with Joe Lanteri and Zena Rommett. Lynda has performed professionally in productions of Evita, Oklahoma!, West Side Story, A Chorus Line and many more. She was a member of a modern company called “Joan Karff’s New Dance Group” in Houston. She has appeared on PBS, Lifetime, and on NBC as an adagio dancer in the 1992 Barcelona Olympics. Lynda’s performance and choreography strengths lie in musical theatre, although she is an incredibly well rounded dancer/teacher/choreographer with a very strong ballet, jazz, tap and acrobat background. Lynda has taught classes and master classes at Steps in NYC, for several chapters of Dance Masters of America, and at many studios across the country. She has been on the faculty of the Charlotte Klein Dance Centers for 19 years. She not only choreographs for dancers, but also for competitive gymnasts. Lynda is a member and former President of Dance Master of New England. As an adjudicator, Ms. Cadarette has been on judging panels for Dance Masters of America, OnStage America, Headliners, Sophisticated Productions, and Dance Ovations, and has been with StarQuest for 9 years. 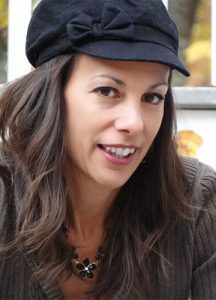 Lynda Cadarette is also a licensed massage therapist who works with dancers and gymnasts to overcome limitations by manual manipulation and assisted stretching techniques.